Brigham Field is a beauty & fashion photographer based in Los Angeles and New York City. His work consistently blurs the line between art and commerce. He worked as a fashion model in Tokyo and Paris, and has traveled extensively throughout the United States, Canada, New Zealand, Australia, Latin America, the Caribbean, Europe, and Asia. 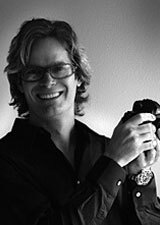 Before becoming a photographer, Brigham spent 8 years as a creative director and ran his own advertising agency in New York City.